A rare 1917 Charlie Chaplin film, “probably from a house clearance” which was bought for pennies on eBay, could be worth £100,000, reports The Daily Mail. When Morace Park parted with £3.20 for an old film tin, which was battered and worse for wear, little did he know what lay inside would astound the film industry. The discovery is yet another treasure unearthed through house clearances. The new owner unrolled the film to locate the title, Zepped and searched for information, but found none. His quest to identify the film has been made into a documentary where, with help from John Dyer, ex-British Board of Film Classification, the pair travelled around the world looking for answers. No one of the leading film or Chaplin experts that they met knew anything about the film. It would appear that Park’s is the only copy, making it exceedingly rare. The seven-minute film depicts a German Zeppelin raid on London and features fantasy sequences which were innovative at the time. According to BBC News, it is thought that the film may have been used as propaganda for British troops based in Egypt. 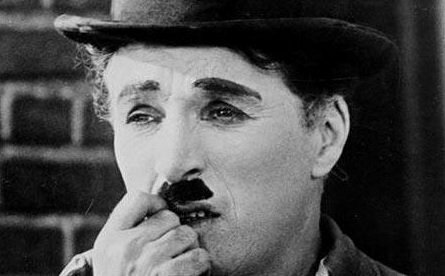 Charlie Chaplin in Zepped is due to be auctioned later this month.